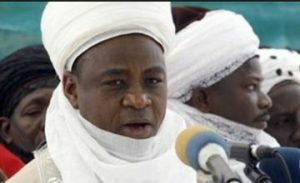 Sultan of Sokoto slams NYSC for resuming orientation camp during Ramadan – Royal Times of Nigeria. The organization also called on the Nigerian Army to postpone its planned recruitment exercise until Muslims have concluded their fasting period. JNI said that NYSC continuing the orientation program and the Nigerian Army conducting recruitment exercise during Ramadan would put Muslim faithful who are fasting at a disadvantage. JNI said; “This is because the prospective corps members would be at disadvantage to their faith and other camp activities. The council also calls on the authority of the Nigerian Army to postpone the intended recruitment exercise until after Ramadan to avoid putting prospective candidates at a disadvantage,”.